Paul Gardner, Principal Teaching Fellow at St Andrew's University receives an award for his outstanding contribution and excellence in teaching at APT conferences. 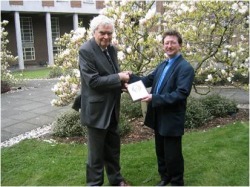 The award was presented by Professor Richard Gregory in 2004. Fergus receives an award for his commitment to APT. In 2009 he attended the twelth year of the conference, bringing over that time over 300 A level students to the conference. He attended all nine CPD events and was a regular presenter. There are few teaching colleagues who can compare to Fergus for his commitment to education and to the teaching of psychology. 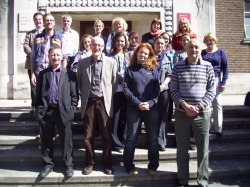 In 2010 Gerry Brannigan (second in from the left) received an award for his outstanding contribution to the professional deveopment of other psychology teachers through his contributions to the CPD events. Gerry has also brought the most students to the APT conference over the last twelve years. Gerry is committed to nurturing students and colleagues alike. In 2018 Ian received an award for his excellence in teaching and for his support to fellow teachers during the CPD events. 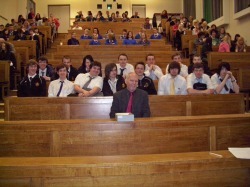 Ian has been bringing students to the student conference every year that his school has permitted him leave to do so. He has also attended every CPD event. He is one of the few teachers that was there when the conferences first started in 1996. 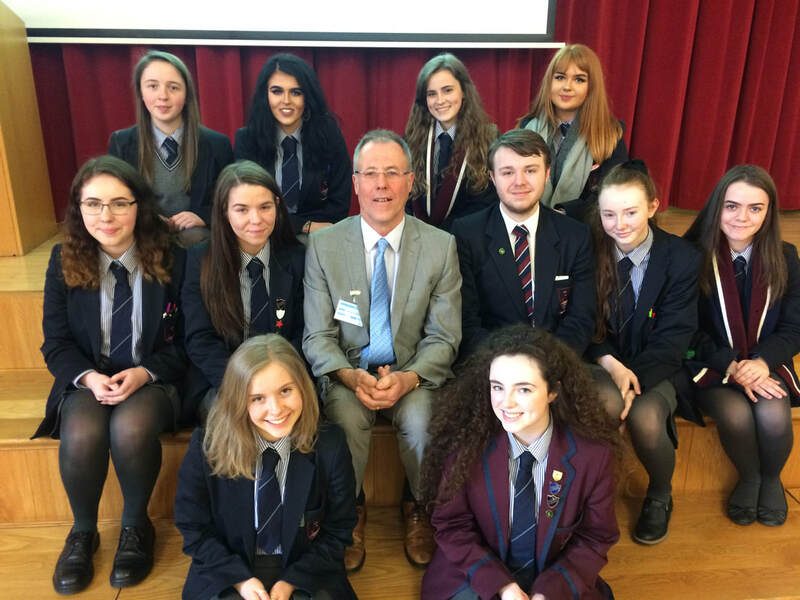 Ian is an excellent communicator and a great teacher and his contributions and support have been invaluable.